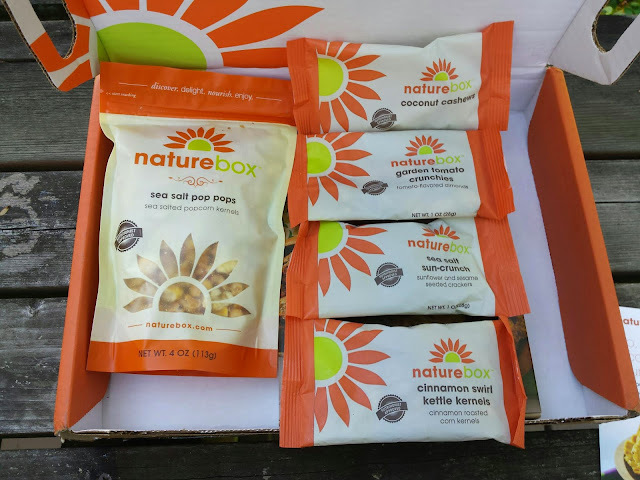 I wanted to come on here to quickly talk about my first Nature Box purchase (sort of) that has been blowing up recently. 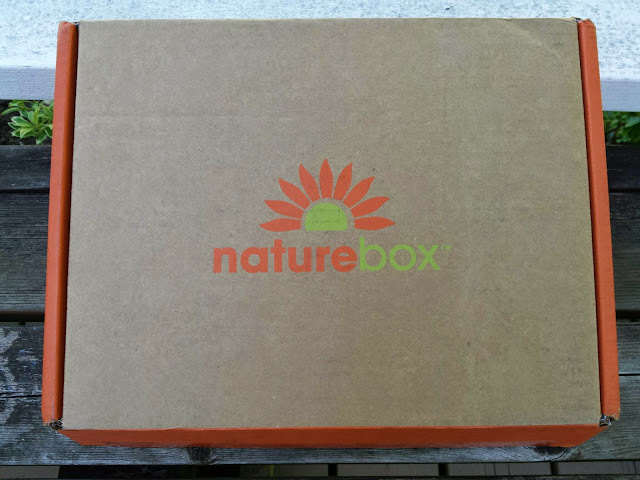 I decided to use YouTuber Hollyannaeree's link to jump on the Nature Box bandwagon. 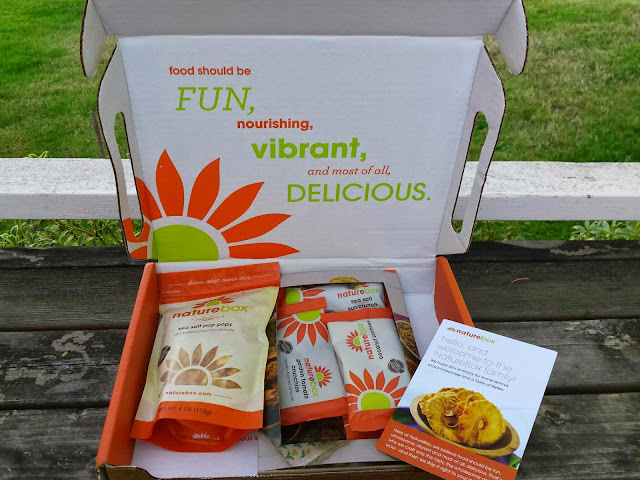 There were two options: $10 off your first Nature Box purchase or a sample box with 4 samples sizes and one surprise full sized items (you just had to pay for shipping $1.97). I decided to go with the sample box. 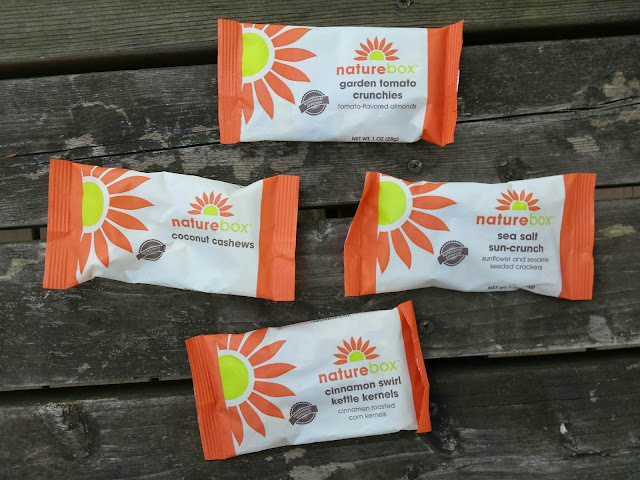 Nature Box is known for bringing healthier snack options to their customers with their promise show above. Sample size products include: Garden tomato crunchies, coconut cashews, sea salt sun-crunch, and cinnamon swirl kettle kernels. Now a closer look at the snacks. 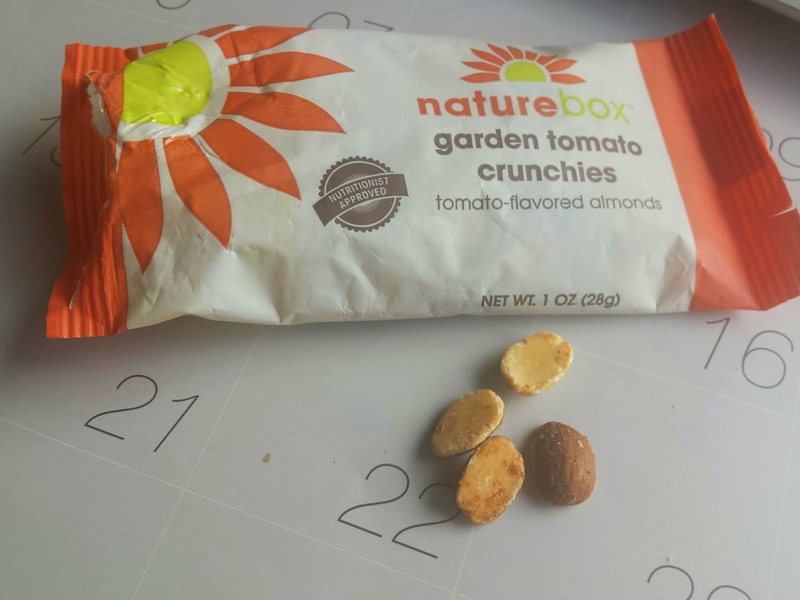 The garden tomato crunchies are tomato flavored almonds. The almonds are halved and coated in a tomato flavored spice rub. It isn't overly salty and there is a nice, somewhat smoky, tomato flavor. The almonds themselves are, as the name suggests, nice and crunchy. Next up are the coconut cashews. These were probably my favorite out of all the sample size snacks and remind me of a similar snack Costco had before. 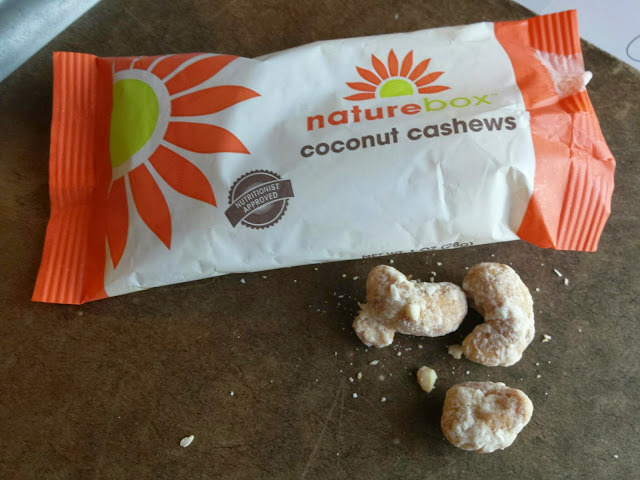 The cashews are covered in a sweet vanilla/coconut flavored coating with actual dried coconut bits on them. The cashews inside are nice and creamy and the flavor combination is really nice and I finished these so quick. 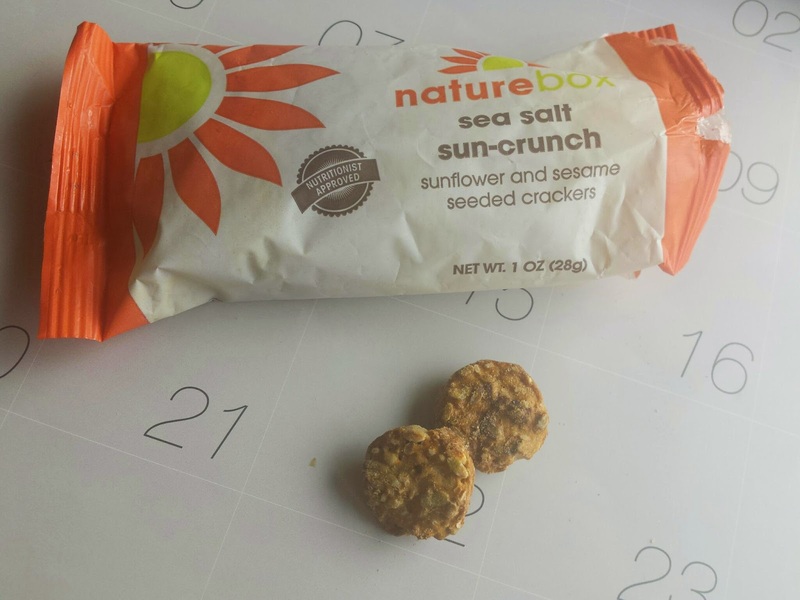 The next one is the sea salt sun-crunch, a sunflower and sesame seeded cracker round and probably my least favorite. I found it to be sort of bland flavor wise and a bit too salty. I didn't care for texture in these either. I didn't finish these and just left them on the counter to see if anyone else would snack on it. My second favorite out of this bunch were the cinnamon swirl kettle kernels. 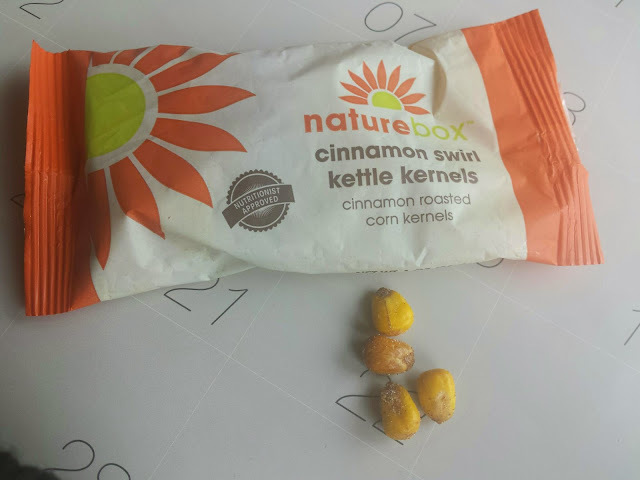 These are basically like corn nuts but way healthier and a sweet version. These weren't greasy or overly coated in sugar. There was a good light coating of cinnamon and sugar over these corn kernels. I definitely finished these up! 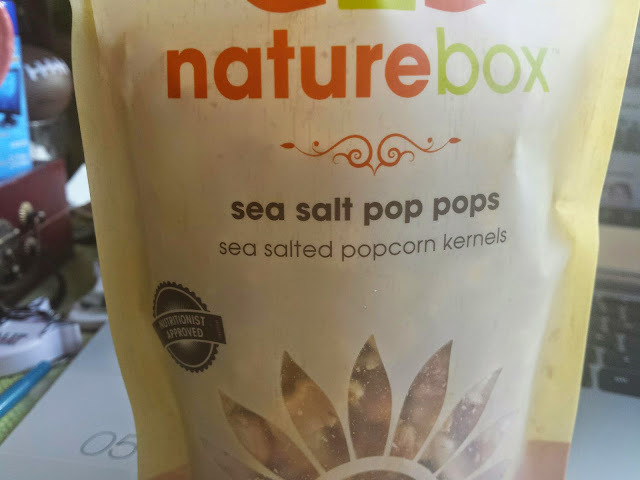 Last thing in my box were the full size snack: sea salt pop pops. These were so bomb! Oh em gjeeze. 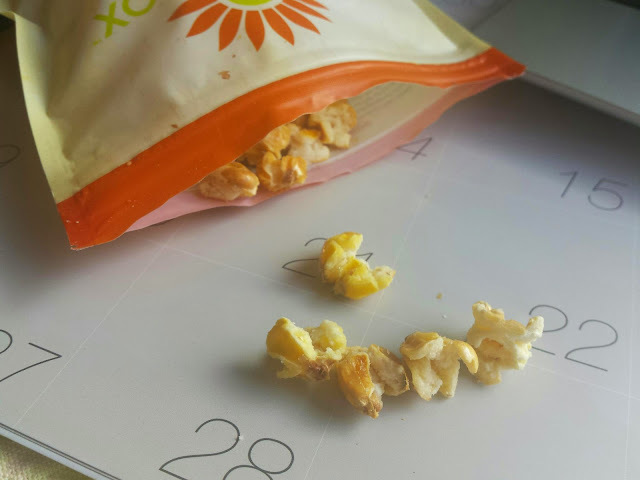 Now, I love half popped popcorn and these were the perfect texture and perfectly half popped. 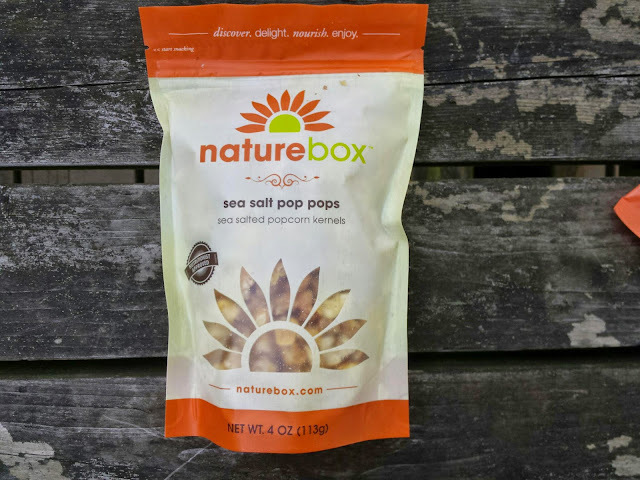 The simple sea salt flavor brought out the natural popcorn flavor and I found myself munching on these all day. 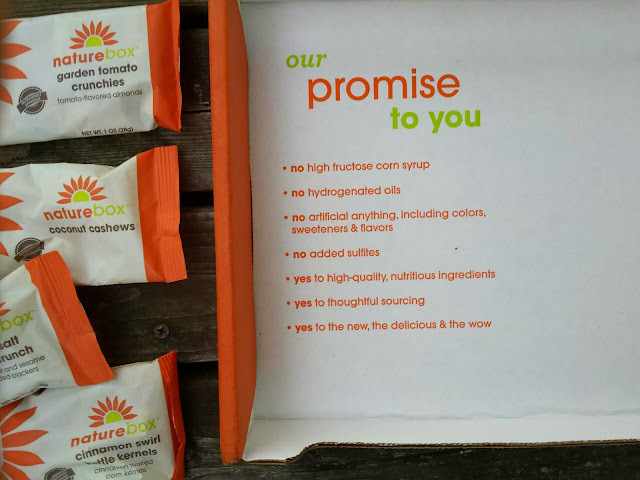 If you guys want to try out Nature Box, use the code share10off for $10 off your first box!